The Solidarity Movement for a New Ethiopia (SMNE) will join with the many Ethiopians, both here in the Diaspora and those in Ethiopia, to enthusiastically endorse the remarkable leadership of Prime Minister Abiy Ahmed, along with the work of numerous others, in bringing meaningful democratic reforms to Ethiopia, which six months ago we would have thought impossible! At that time, most of us saw the crisis worsening in Ethiopia. Mounting threats of ethnic-based violence, warnings of the possible disintegration of the country and the many roadblocks to genuine democratic change that were looming before us, convincing us that only God could do what otherwise would be humanly impossible. Now we hear many recognize the fact that what has emerged out of the darkness, is nothing short of a God-given miracle—no can explain how this all is happening apart from this. No one can believe it! No one would have thought this day would come. This includes the rise of PM Abiy and others, who have been able to not only speak the words of principle-based change; but also, to effectively act on them. 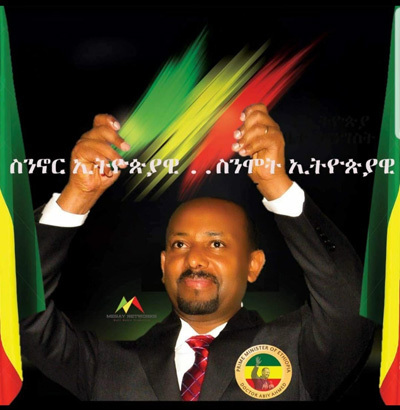 These principles have been at the heart of the work of the SMNE since its inception, so we are very hopeful and thankful as we now see them being integrated so well by PM Abiy into these profound changes being carried out on the ground. The SMNE was created specifically to build a “New Ethiopia” where the real struggle was for inclusive principle-based change for the good of all of us, starting with putting HUMANITY BEFORE ETHNICITY, or any other differences, because we are all created in the image of God and as a result, each of us has innate value. This also means we should care about others and their rights, including neighbors near and far, and even enemies; for our own rights and freedom are closely linked to the rights and freedom of others. We believe: NO ONE WILL BE FREE UNTIL ALL ARE FREE. The SMNE’s adoption of these universal, God-given principles came out of our prior work as the Anuak Justice Council, as we tried to advocate for freedom, justice and respect for human rights following the Anuak massacred, which started in late 2003, and continued with widespread human rights crimes for the next several years. We saw and spoke out against the human rights violations and related suffering of some other Ethiopians, but ethnic differences and interests undermined more effective, large-scale solutions because we Ethiopians failed to care about each other. We in the AJC realized that freedom would never come only to one group, especially a small minority group, but should come to ALL Ethiopians, leading to the formal creation of the SMNE in 2008, a principle-based organization, advocating for rights for all. Now, under PM Abiy’s leadership, we are seeing a genuine restoration of basic rights, unseen for many years. Here is an example in regard to freedom of speech and information! Since 2007, the websites of the SMNE and the Anuak Justice Council have been blocked in Ethiopia. As of today, June 22, 2018, that block has been lifted, not only for us, but for others as well—more than 264! Amazing! This and many other actions reveal a different ideology, new principles in action and a style of servant leadership, not typical of African strongmen. This was demonstrated in various actions; such as his care the people imprisoned in Egypt or in difficult situations in Saudi Arabia. Africa needs more of this kind of leadership rather than the model where power, ambition and the accumulation of wealth come first— and competition for the same leads to bloodshed. Instead of clinging to the failing ideologies of ethnic federalism, exclusion and revolutionary democracy of the last three decades; we now see the opportunity to come together to “talk to each other, not about each other”—another basic principle of the SMNE. Even our logo is like a table with people encircling it, suggesting peaceful dialogue as the way to settle many of our issues. 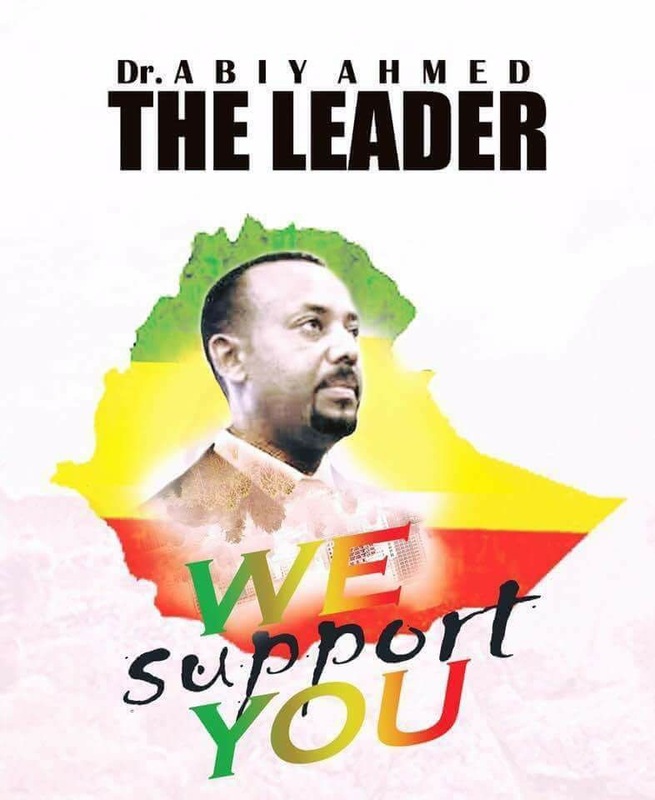 We see PM Abiy and his team moving steadily in this direction, engaging the people in dialogue wherever he goes. This will make it possible to find sustainable, equitable and effective solutions to bring about the transformation of our society to one where there is more love, peace, respect, equality, justice and prosperity. The battle we have been in is one of ideas— for not all ideas are equal. Not all ideas are true, good or right. Not all ideas are evaluated based on values or outcomes, but are often adopted collectively as “group-think.” Not all ideas lead us where we want to go; but yet, they have built in consequences we may not like. Not all ideas are based on universal principles; but many are instead based on dehumanizing others in order to justify greed, self-interest, injustice and violence at the expense of others. We now want to speak out against the ethnic-based violence going on in the South. we condemn this. We also want to speak out against the displacement of the Amhara in different regions of the country. We also condemn this. There are others in harms way. Let us condemn it together. What are we about? We can do better than this! Let us all rally together with one voice behind these ideals to ensure their sustainability for our future and that of our children. We at the SMNE are thrilled to see our fellow Ethiopians brothers and sisters rallying together to support this amazing progress, creating an environment for the reconciliation and national dialogue we have been seeking. As you go out, those of you who are supporters of the TPLF should know this is your rally too; you are included in the New Ethiopia and are part of us. This is not a rally against others, but is a new beginning where seeds of love can be planted now that will be harvested by all our children, from every ethnic group and from every part of Ethiopia. Let it begin with joy, but also be accompanied by repentance, forgiveness and healing. This, with God’s help, is the work of all of us. We wish we could be there to stand by you, but we will be with you in heart and spirit to support this common vision for our shared nation. Yet, we hope we will soon be with you, to help promote these principles so all our people, in every corner of the country, will be blessed. Until that time, may God strengthen, guide and protect you. May He work through us to spread kindness, justice and love among our Ethiopian family.